My girlfriend and I enjoy adventure and discovering hidden gems at every opportunity, and this year we used Valentine’s Day to do just that. Valentine’s is definitely the Marmite of holidays; I am always intrigued and thoroughly entertained by the spectrum of reactions that it provokes in people but here is not the forum for such a debate. For this is a place where we celebrate the brilliant quirky places that leave us with huge smiles and a love for life. 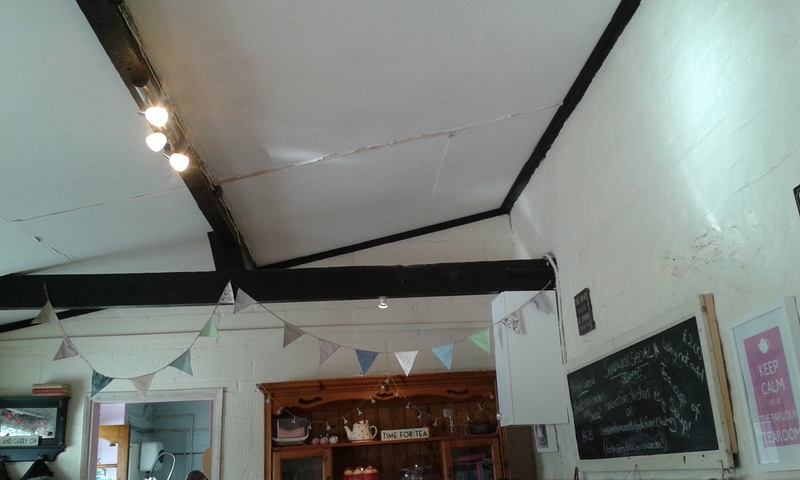 This past weekend we made a trip to The Parlour Tearoom in Basingstoke. Located around two miles out of the town centre, this is an absolutely delightful place which last year won the Hampshire Life Award for best tea/coffee shop – and deservedly so. 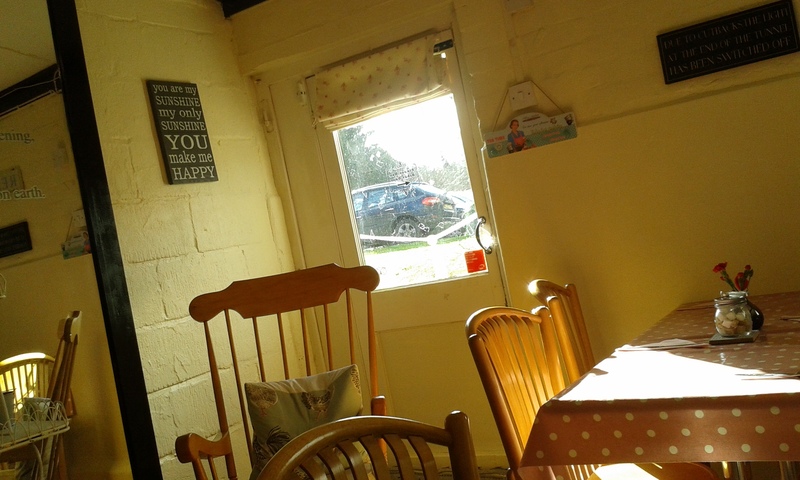 The Parlour Tearoom forms part of the Viables Craft Centre which also includes clothing boutiques, a florist and even a miniature railway; making for a fantastically quirky place with a gorgeously rural feel. Viables retains the feeling of the old farm site it occupies and as we entered I had a wave of nostalgia for the excitement one gets as a child when visiting a farm or petting zoo. This visit however; we had come for tea and cake. You’ll find the Parlour inside the farm’s former dairy parlour, with the décor reflecting this beautifully. The doors are the original wooden ones, as the exposed beams which gives the place a rustic vintage feel. The furniture continues this theme – the chairs and tables are lovely hand painted wooden originals, with kitsch cushions and tablecloths adding an all important sense of fun. Bunting hangs from the ceiling to make it feel as visitors are enjoying a summer picnic, even on the nippingly cold day we visited on. In short, the Parlour is the best possible setting for a tea party. Friendly staff greeted us upon entry and showed us to our table before giving us some time to think about what delights to order. We both went for a “viables tea” which gave us each a large pot of tea, a handmade sandwich and most importantly, a slice of home made cake. All this for under a tenner as well. I went for a brie and cranberry sandwich which was scrumptious but what of the cake? My cake of choice was the white chocolate and cranberry tiffin which was deliciously rich and beautifully chocolatey. The tearoom was busy with people looking for a light lunch and sweet treat – for a place outside the town centre to be so busy shows what a great reputation it has. And rightly so! With such a wide selection of sandwiches, cakes and bakes; that changes with the imagination of their bakers, The Parlour Tearoom is a place that I cannot wait to get back to.